Scooby Dooby Doo and a Party, too! 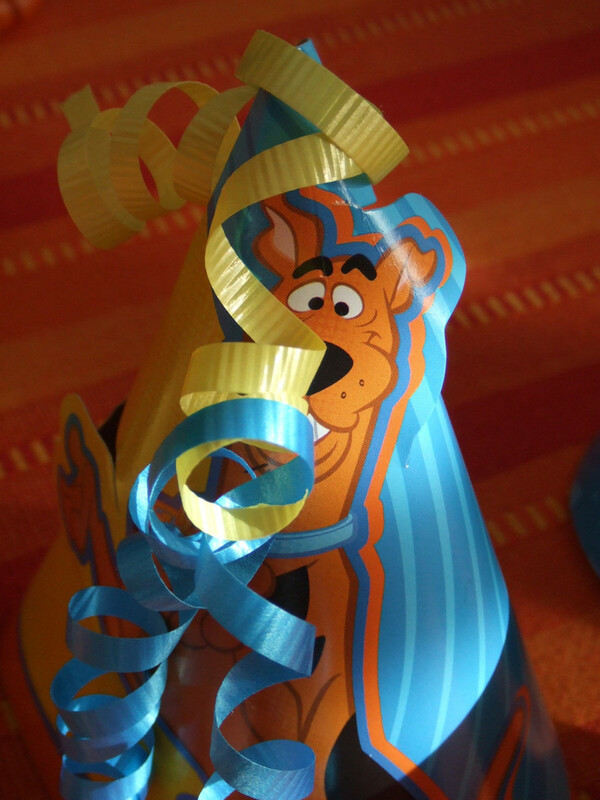 This is the place for fun Scooby Doo party ideas that are perfect for a themed birthday party. Scooby Doo and the rest of the gang have been some of the most popular cartoon characters of all time. 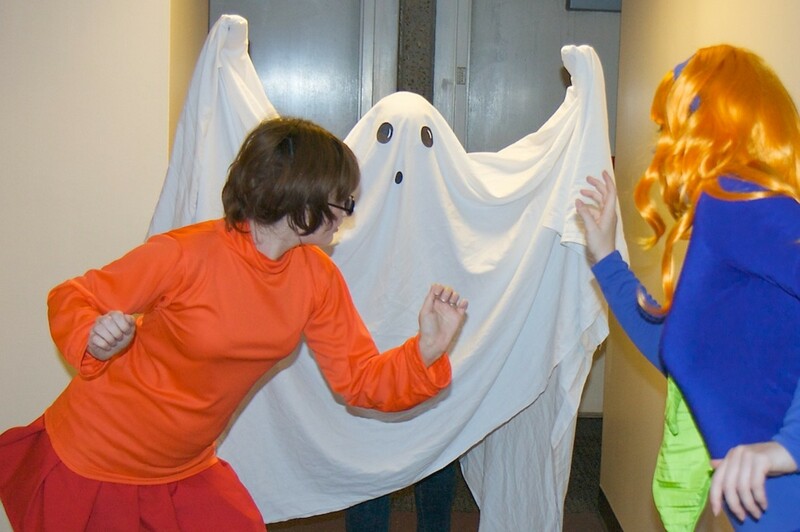 Kids love Scooby and a party based on the show can be easy and very fun to do. Here you will find Scooby Doo cake and cupcake ideas, party food and drink suggestions, party games and activities, and more Scooby fun. 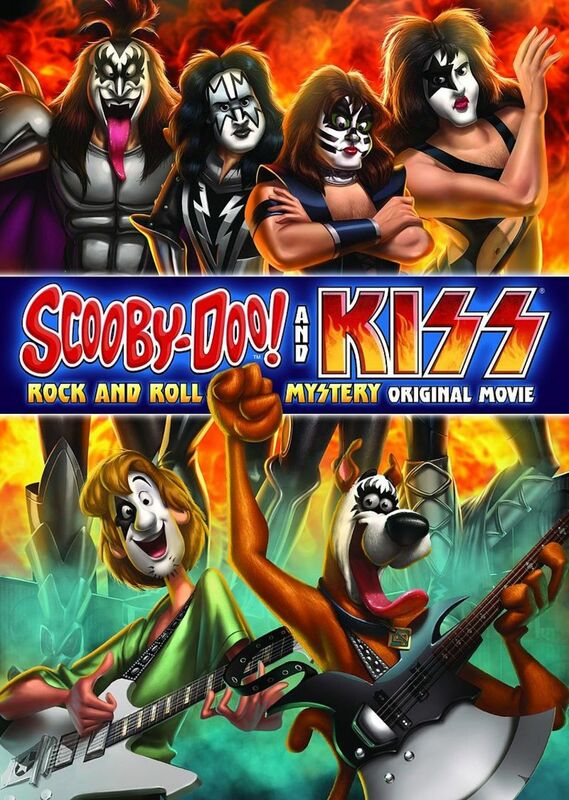 Scooby Doo is full of mysteries, monsters, and groovy fun. You can have a simple party with Scooby décor or you can have a mystery party with clues to solve and monsters to catch. We've got it all below. Your party will be filled with Puppy Power! Tie dyed cupcakes with Scooby rings and Scooby graham crackers. Having a fun cake is probably the most essential ingredient of a birthday party for kids. 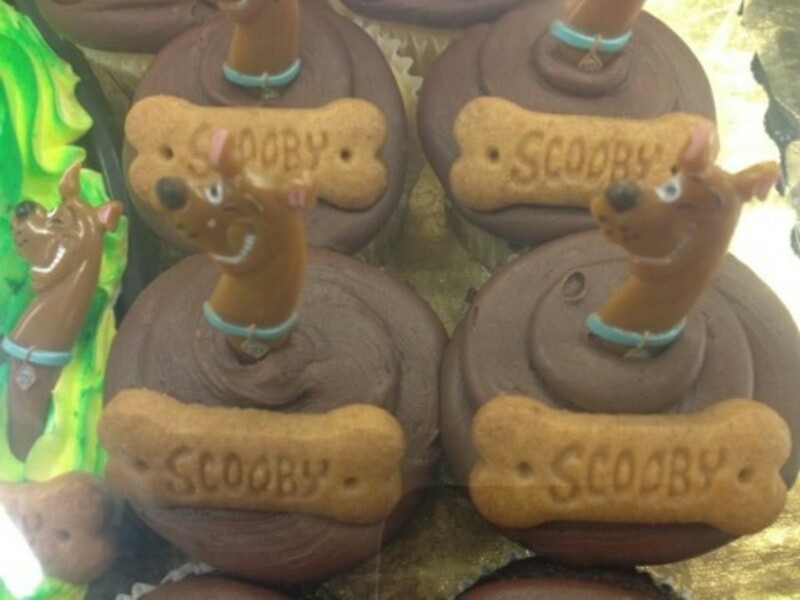 There are several different options and ways to create a Scooby Doo cake or cupcakes for the party. There are more advanced cake ideas as well as simple to do ideas that don't require a lot of baking skills. Make cupcakes and use Scooby Doo rings or cupcake toppers. 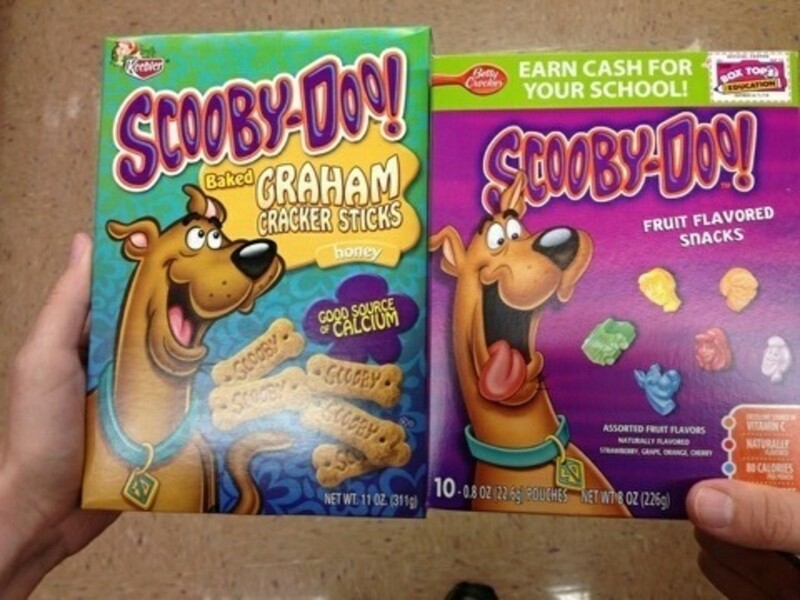 You can even add a Scooby Snack graham cracker (available at most grocery stores) on the top. Scooby Doo cake toppers are available through Amazon and at party specialty stores. All you have to do is make a normal cake and add the toppers to it. They usually look really good when complete. Bake a bone-shaped cake. You can either find a bone cake pan or cut out the shape once the cake is done. The shape of a bone would be pretty easy to cut. Then ice the cake. 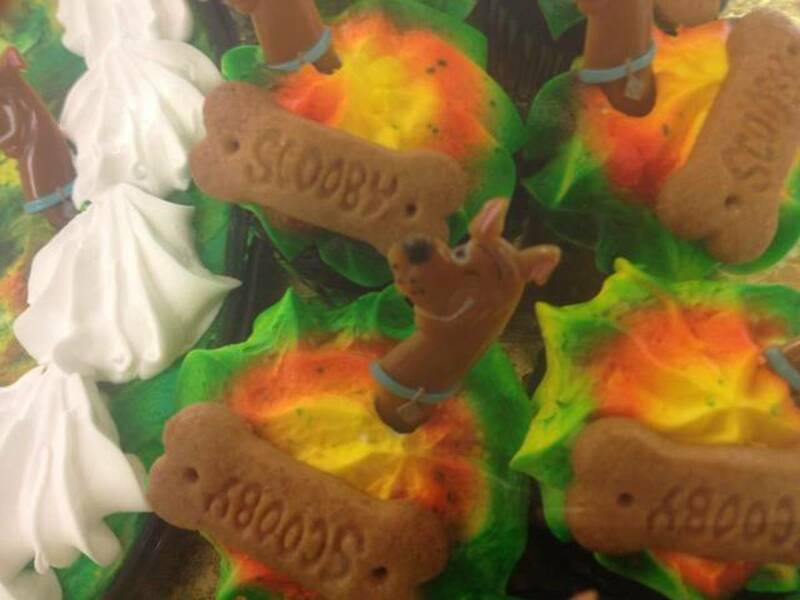 You can write "Scooby" in colorful icing on the top. Or write the birthday child's name in colorful icing. Bone cookies are an easy alternative to cake or cupcakes. Bone-shaped cookie cutters are readily available. The cookies can be decorated with icing or sprinkles. 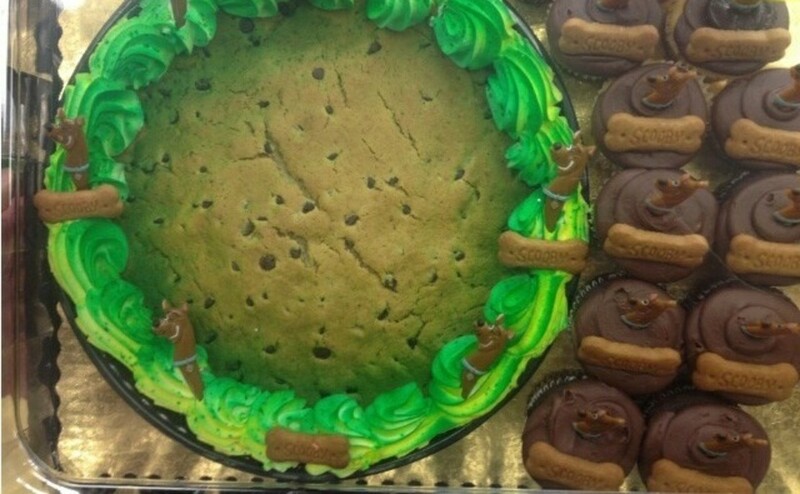 You can also buy Scooby-shaped cake pans to make it easier to create an amazing cake. Just bake the cake in the pan and frost the cake and decorate it with colorful icing. There are even cake image toppers available with an edible Scooby Doo picture, but most are hard to use. Make a Mystery Machine cake. It is simpler than it may seem. Check out the video to the right. If you want some detailed directions on shaping and decorating the cake, here is a Mystery Machine recipe using regular icing. Most cake stores like grocery stores and Walmart will have Scooby Doo themed cakes you can order. Use plastic figures for decoration. A toy Scooby Doo, Shaggy, and the rest of the gang looks great on the cake or beside of it. You can even use a toy Mystery Machine van. 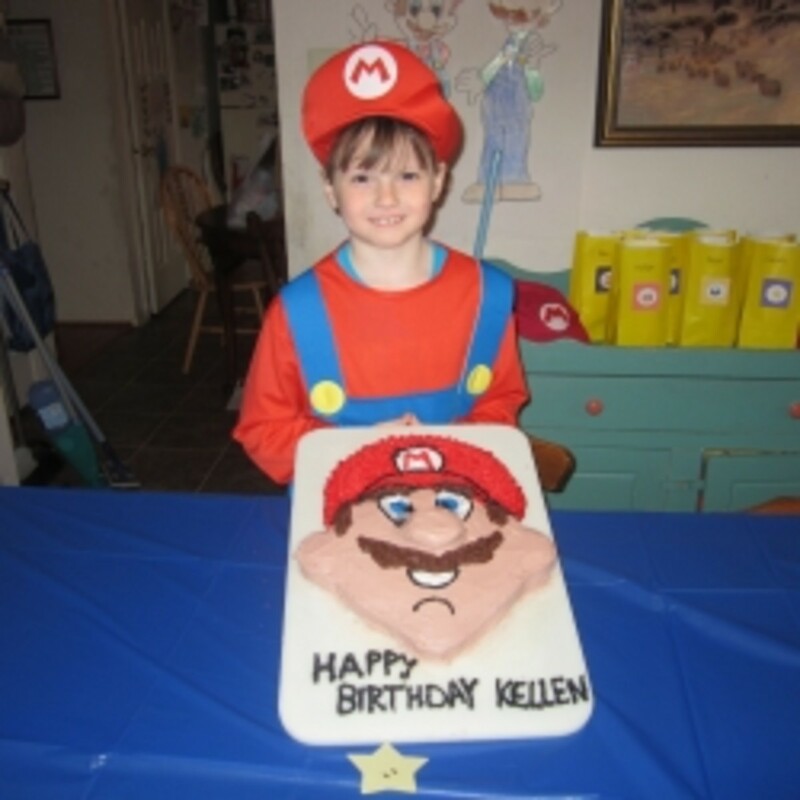 It is much easier to use a toy than to try to make the characters out of fondant or icing. Plus the kids will love playing with the figures as they eat the cake and it will be a keepsake for the birthday boy or girl. Party food for a Scooby Doo party is easier to come up with than a lot of other themes mainly because Scooby and Shaggy are always eating. And they aren't picky, either. Have a hot dog stand. Or make mummy-wrapped hot dogs using canned biscuits. Make your own pizza. Place the pepperonis in the shape of a bone or spell the word Scooby out of other toppings. You could even draw a ghost shape on the pizza. Have a sandwich station and let the kids stack them high with ingredients. See whose sandwich is most like a Shaggy sandwich. Serve a buffet of goodies. Have a table full of food for the kids to chow down on like Shaggy and Scooby. The gang hangs out at the malt shop a lot. Serve milkshakes or sundaes to be like the mystery crew. Halloween foods are also good for a Scooby Doo theme. Ghost-shaped food, a graveyard cake, or slime (green jello with gummy worms made in a clear jar) will be fun party foods. You can use cookie cutters to cut spooky shapes in sandwiches, grilled cheese, or even jello. Make or buy Scooby Doo bottle labels to add to the drinks. Several different designs can be found on Etsy. Mix up a brightly colored punch to match the Mystery Machine colors. Serve a bright green punch or juice and call it "monster slime." You can put dry ice in the punch for a spooky foggy drink the kids will really have fun with. It will definitely look like a drink from a mysterious place. Use clean dog bowls to serve the food. 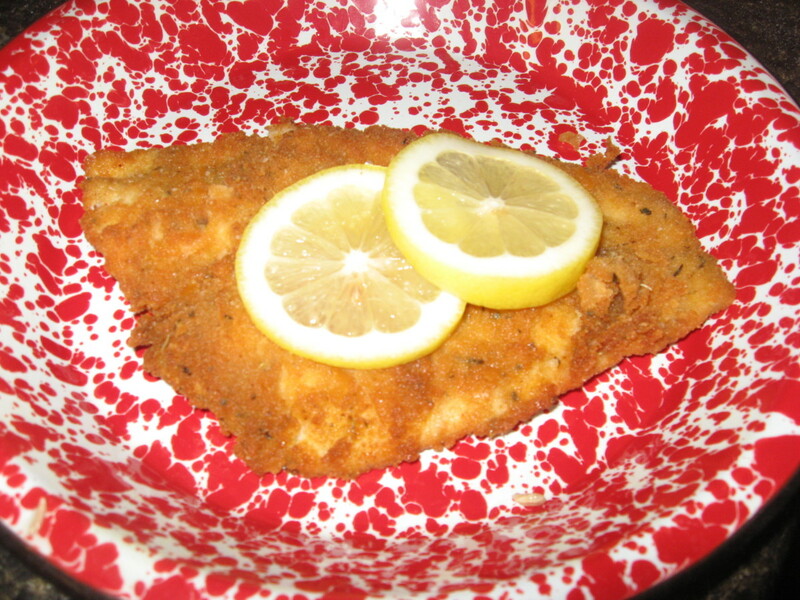 You can even use them for the kids' plates. They will love eating out of dog bowls. Try to find colorful bowls in blue, orange, green, and yellow to match the Mystery Machine colors. 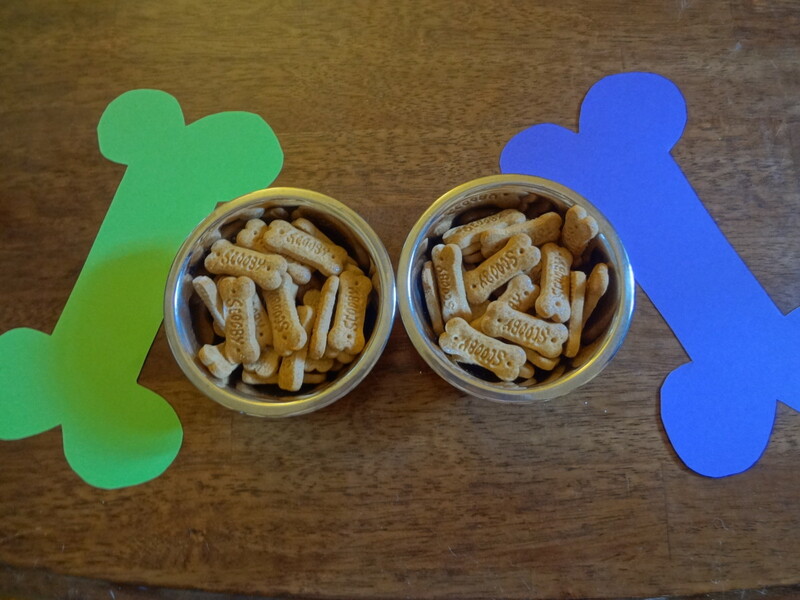 Make dog bone place mats using construction paper. Scooby Doo Mystery Treat Boxes - 4/Pkg. Use colorful dog bowls to serve the food and as plates. You can also use dog bowls for crayons and treats and prizes. Cut out bones and paws from construction paper to decorate the table and the rest of the party room. Get some new squeak toys and other doggie toys. Hang them from the ceiling or place them on the tables. Use bright colors that will match the Mystery Machine like blue, green, yellow, orange, and purple. Most party stores sell Scooby Doo-themed party supplies like serve ware and party decorations. The original Scooby Doo shows definitely have a 60’s and 70’s feel. Use flower power and hippy-style decorations. Peace signs and flowers will match Scooby Doo. You could even have a disco ball, lava lamps, a black light, black light posters, and bean bags. 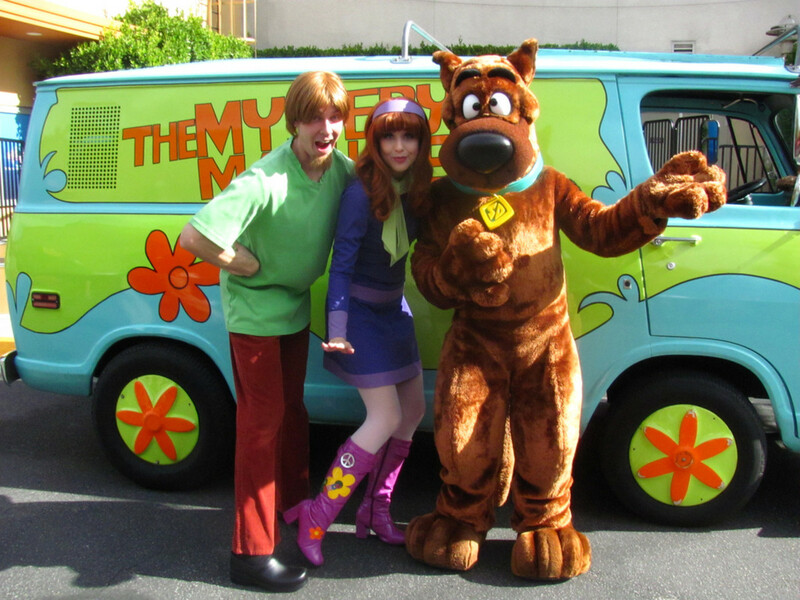 Scooby Doo shows and movies usually feature monsters and other creatures in a creepy location. Decorate the party location in a haunted mansion theme. Put white sheets over the furniture. Use spider web, bats, spooky eyes, and candelabras. Halloween decorations like ghosts, monsters, and creatures (zombies, werewolves, Frankenstein’s monster, swamp thing, etc.) can be used as well. Make the party look like an episode of the show. 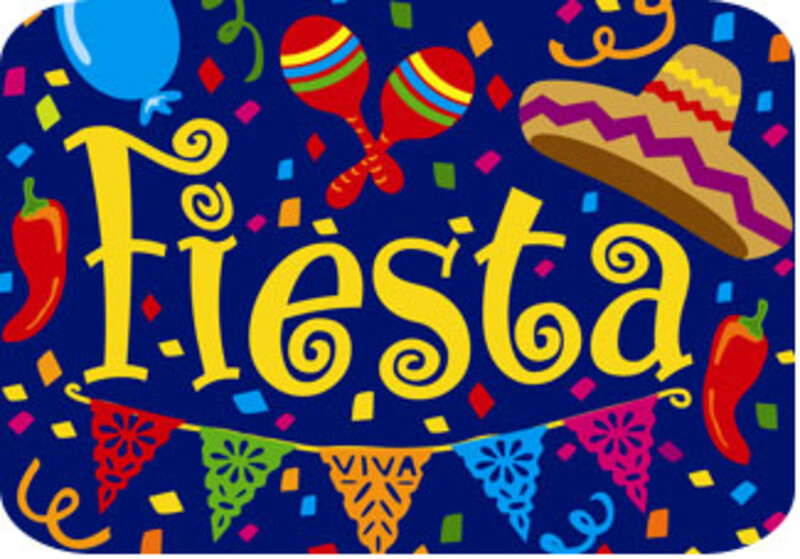 Fill the pinata with individually wrapped small packs of Scooby Doo Fruit snacks and Scooby Doo graham crackers. 9 sneaky ways to make invisible ink. You can use lemon juice, milk, baking soda, cornstarch and iodine, and a white crayon. You will also discover how to make disappearing ink and glow in the dark writing, and how to send a message with a banana. The gang isn’t known as Mystery, Inc. for nothing. Give the Scooby Doo party a mystery theme. This is especially good for older kids who can read. Give the kids these things to use to solve the mystery. They also make great party favors to fill treat bags. You can create a fake newspaper page for your party. Customize for your mystery. 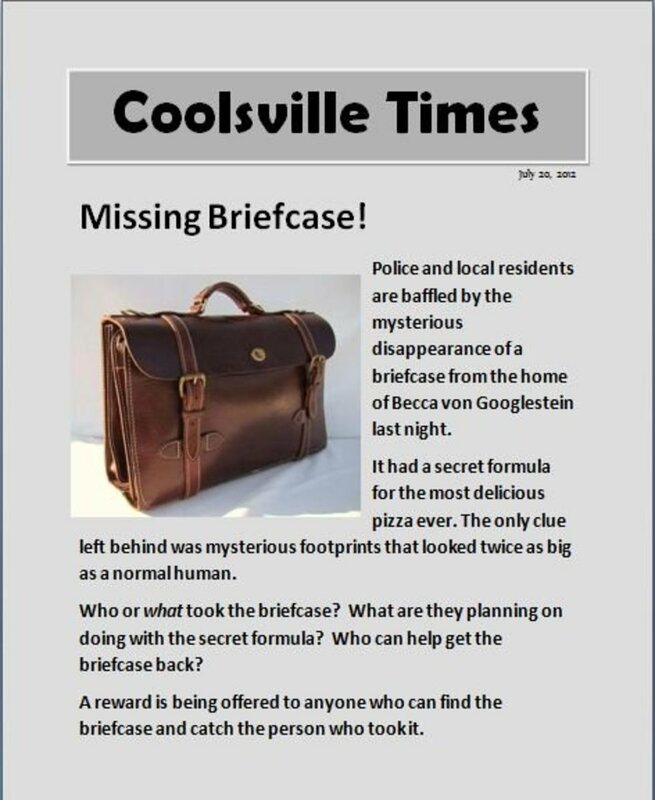 Take a picture of your "missing" item and use it for the front page scoop. Fill in the name of your birthday child and their birthday date. Have a real mystery for the kids to solve. You can make it simple for young kids or more complex for older kids. Have a scavenger hunt to find items. Hide mystery items and give them clues about what to look for and where it may be hidden. You could write clues on pieces of paper and then put them into balloons. The kids will have to pop the balloons to get the clues. You could also hide puzzle pieces around a room and have the kids find them to solve the mystery. The puzzle could be a picture of a special party treat. Leave a ransom note for a missing item like a briefcase. Include a picture so the kids will know what to search for. If you are good with Word, make a fake newspaper with the mystery as the cover story. 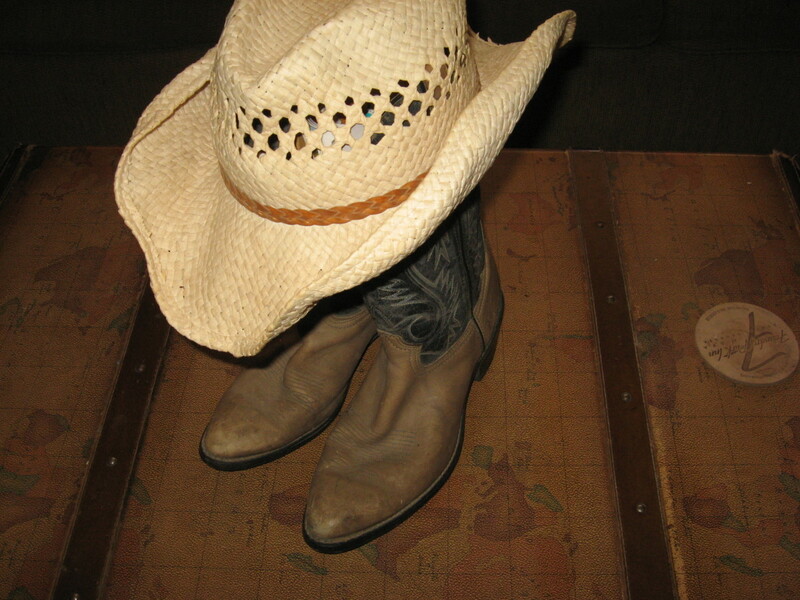 Leave clues for the kids to find like footprints, slime, and even a fake monster costume. Have other adults pretend to be witnesses to the crime. Let the kids interview them. The adults can describe the monster they saw and what it did. Use crime scene tape and rope off an area where the "crime" took place. One of the adults can dress as a monster and pretend to be the bad guy. Only do this with older kids who won't get scared of a "real" monster. Tell the adult to give in when the kids find him or her. Make sure they don't try to attack the monster. Be careful that they don't get too excited during the mystery so no one gets hurt. Explain that it is just pretend and you want to catch the bad guy, not hurt him. Another adult can be a policeman who can take away the bad guy. Don't forget the line - "And I would have gotten away with it if it weren't for you meddling kids." Have the monster return the missing item or have someone give the kids a reward. It can be party treats or party favors. This spy paper is dissolvable after the secret message is read to keep other spies from reading your clues. Invisible ink with decoding light great for writing clues and passing secret messages. Nearly every Scooby Doo episode features a creepy monster as the bad guy. Have some creatures at your party as well. Decorate the party area to look like a monster hangout. Use Halloween decorations like ghosts, Frankenstein, swamp thing, vampires, werewolves, zombies, and other classic monsters. Make slime for the kids to play with. Monsters leave behind goo and other gross things. Get a monster costume or mask. Play monster tag by having the kids take turns dressing up as the monster and being it. Play a mummy wrap game. Have the kids divide into teams. Then each team races to see who can wrap one of the group members with toilet paper the fastest. A game of zombie tag is great for a Scooby party. Play it with the kids. The original Scooby Doo show began in the late 60's and ran through the 70's. So the characters and the show definitely have a groovy feel to them. 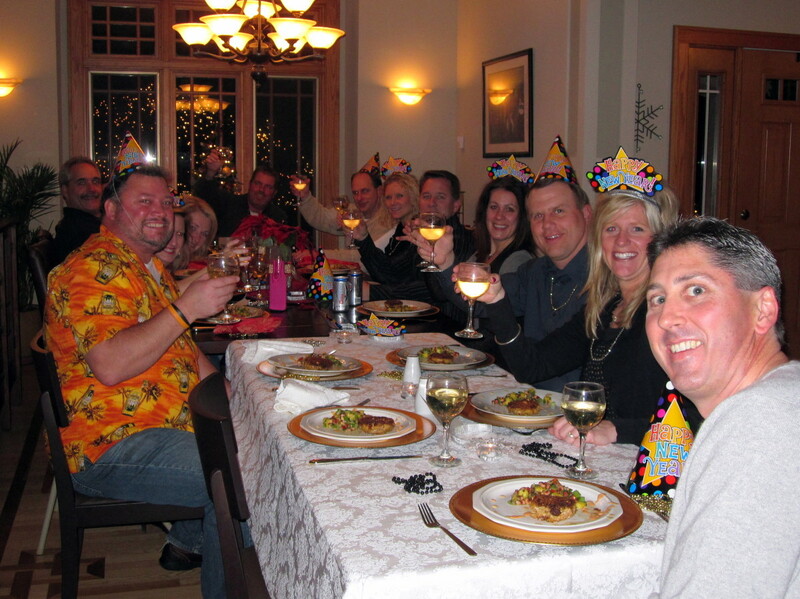 Have guests dress in 60’s and 70’s themed outfits. 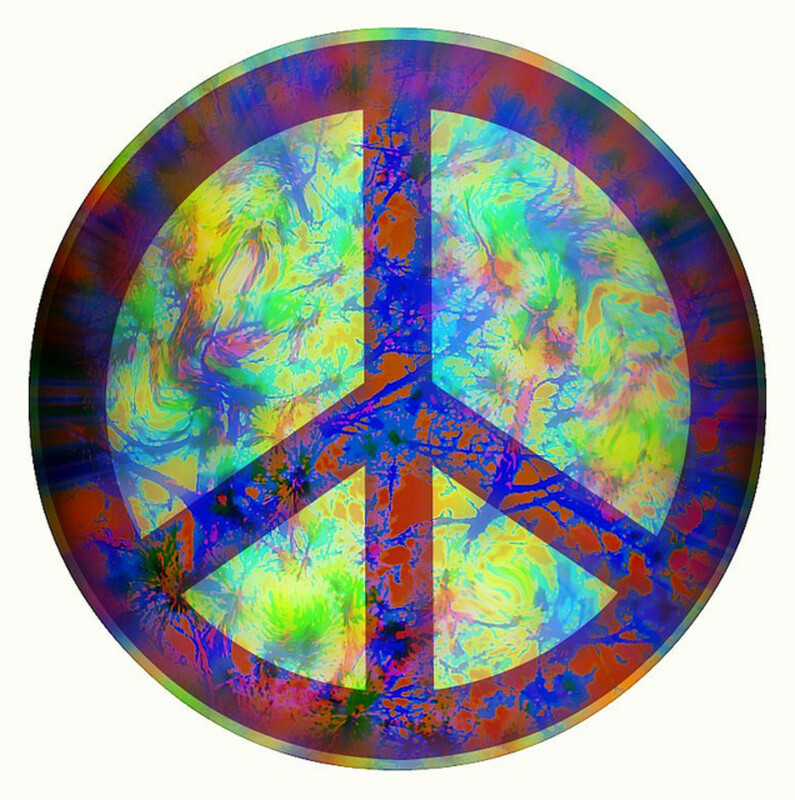 Think bell bottoms, flowers, peace signs, and platform shoes. Ask guests to bring a plain white t-shirt. Do tie dye with the kids as a party activity. 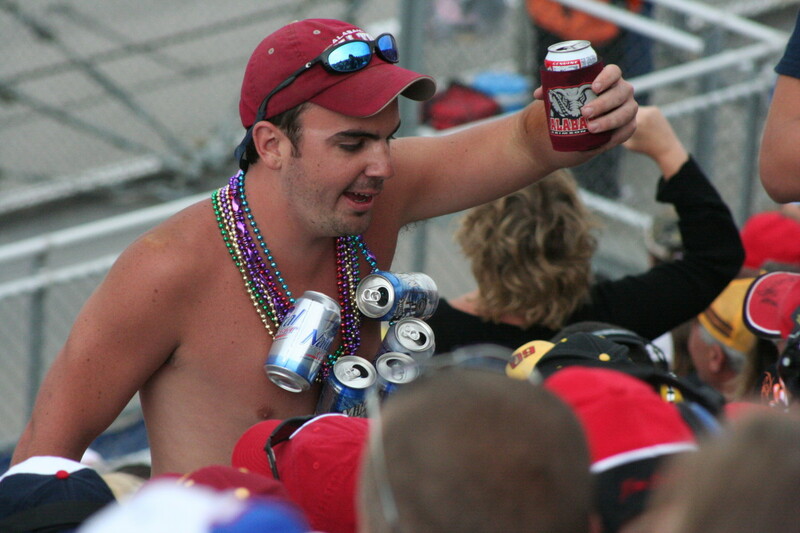 Make love beads. Use beads and string to create groovy necklaces. You can even make edible love beads that Scooby and Shaggy would approve of. Use pieces of round cereal that will be easy to string like Cheerios and Fruit Loops. Face painting is fun for any party. Paint flowers, peace signs, hearts, and even paw prints and bones on the kids' cheeks. 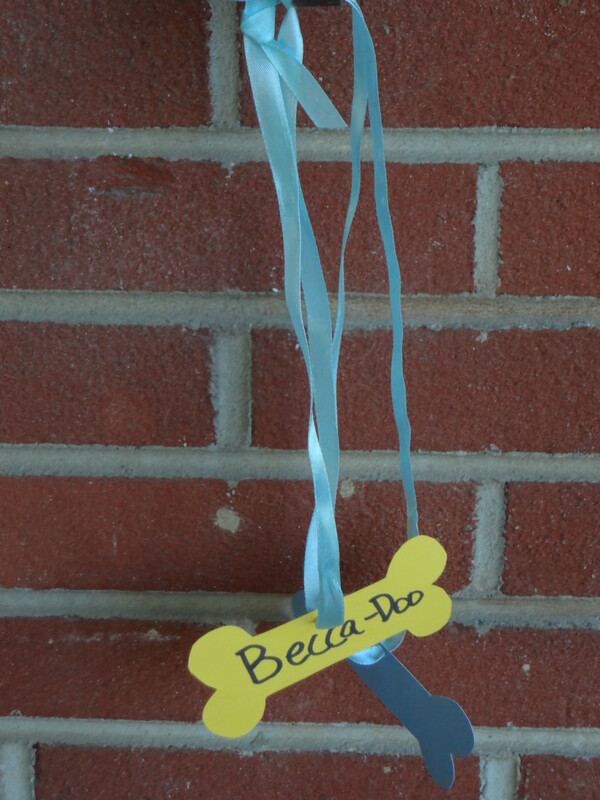 Make doggie name tags for the kids. Make dog tag necklaces for all the guests. You can use name tag stickers or just write the names on construction paper, punch a hole in the top, and then put a string through it. You can even decorate the collars with glitter, stickers, or anything else. Do you know a dog that looks like Scooby Doo? Invite it over for the party and you’ll have a party mascot. Get a Scooby-Doo piñata and fill it with snack-sized packs of Scooby snacks. Make a Scooby bingo game and print off game boards for the kids. Play pin the tail on Scooby. Get a Scooby poster or print off a picture of Scooby Doo. Use a piece of brown cloth or even a brown string for the tail. Play Scooby Doo charades or Pictionary. Check out the word suggestions to the right. Do a Scooby Doo corn hole toss. Use doggie toys to toss into the corn hole or cardboard Scooby cut outs or even into big dog bowls. Play Frisbee or a game of catch. Rent an inflatable. Many inflatable companies have Scooby Doo bouncies. Try a game of "hot bone" (hot potato with a Scooby theme). Put in a Scooby Doo movie to play in the background, while the kids or eating, or after the excitement is over. Set up an obstacle course. Have the kids go through a cave (blanket over furniture), swamp (muddy water), graveyard (fake tombstones), and so on. Have ghosts or monsters they have to "defeat" along the way. Put black eyes on white balloons for ghosts. They can pop the ghosts. This is a really easy scavenger hunt for little kids. Kids will get a card with pictures and they must find the "clues" that match their card. What will you do at your Scooby Doo party? Zoinks! We'll have a mystery and the gang will figure it out. Like, we will have flower power and lava lamps and everything, man. There will be monsters and a spooky mansion. Jeepers! Jinkies! We'll play Scooby charades and do an obstacle course. Let's split it up. We'll do some monster hunting, follow some clues, and maybe have some peace signs. Scooby Dooby Doo and You! Tell me about your party. KevinMillican - I did it for the Scooby snacks! :) Thanks! That's pretty nifty, thanks for sharing!